Tachycineta is a Greek word that means "swift move". These agile birds primarily feed on insects that they acrobatically catch midair. 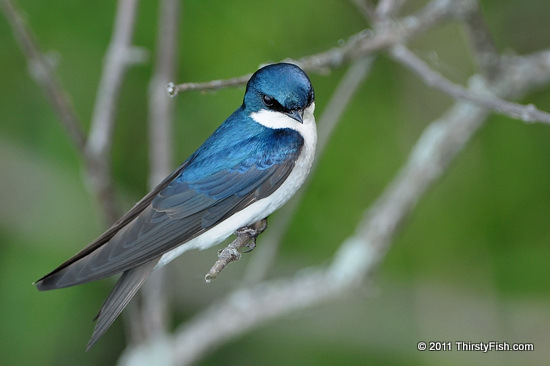 Tree Swallows are migratory birds that breed only in North America.